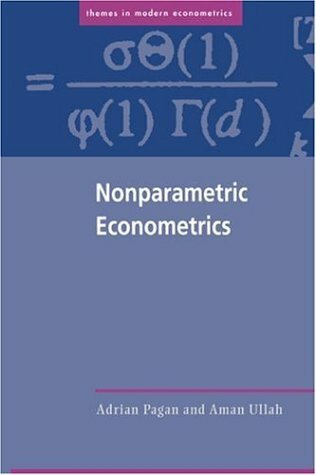 Covering the vast literature on the nonparametric and semiparametric statistics and econometrics that has evolved over the last five decades, this book will be useful for first year graduate courses in econometrics. Michael Wickens is professor of economics at the University Michael Wickens is professor of economics at the University of York. He is the coeditor of "Handbook of Applied Econometof York. He is the coeditor of "Handbook of Applied Econometrics" and was managing editor of the" Economic Journal" fromrics" and was managing editor of the" Economic Journal" from 1996 to 2004. 1996 to 2004.